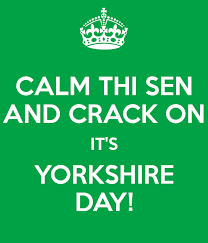 The British Gazette » ‘Tis Yorkshire Day! I am so remiss! A belated, Happy Yorkshire Day to all my fellow Yorkshireman wherever you may be from one for which, “being out of the West Riding….” is no excuse!